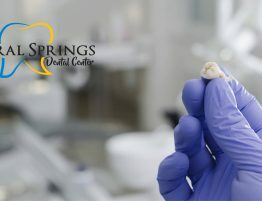 It is important to find a pediatric dentist who has the experience and equipment to take good care of your child’s teeth and has the ability to provide your child with a comfortable and fun experience. 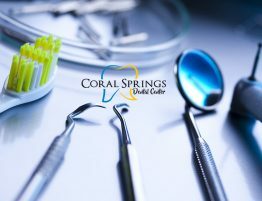 If you are looking for pediatric dentists in Coral Springs Florida, visit Coral Spring Dental Center. We provide specialized dentistry for children and teens. 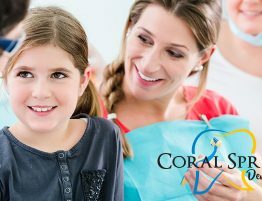 Our staff at Coral Springs Dental Center are educated in child psychology and behavior management and are committed to making your child’s experience enjoyable and positive. We offer a comfortable child-friendly environment. Contact us to schedule an appointment with the top pediatric dentists in Coral Springs Florida. Many times parents ask how important their child first set of teeth are and are also not sure when they should schedule their child’s first dental visit. Some parents think their child’s first set of teeth are not too important as they are going to fall out. A child first set of teeth are actually very important to their dental development and it is recommended a child’s first dental visit should be around his or her first birthday. Early visits to the pediatric dentist will help build great trust and help your child experience a more comfortable visit in the future. It is also important for your child to visit the dentist at an early age to ensure he or she understands how to practice good oral hygiene at home. This will help your child have proper oral health at an early age and maintain good oral manners through their future. 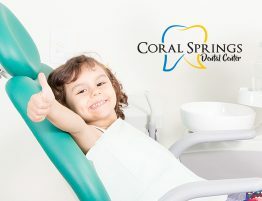 Coral Springs Dental Center understands some children are extremely afraid of visiting the dentist. This is why we offer a unique environment to make your children time at the center a fun and great experience. We also provide sedation dentistry for anxious children. Sedation Dentistry is a safe monitored use of Nitrous Oxide to calm and reduce your child’s fear and make his or her visit less frightening. 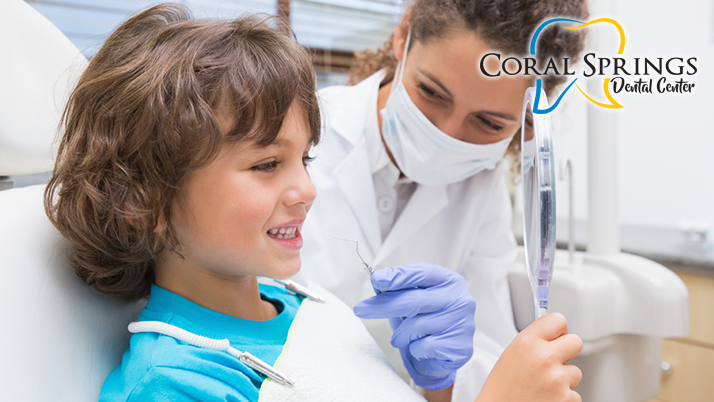 At Coral Springs Dental Center you can have all of your child dental needs taken care of by our skilled pediatric dentist in one convenient and comfortable place. We offer various different pediatric services including routine checkups, tooth sealants, fillings, orthodontic care and more. We make sure your child’s visit is a successful one. 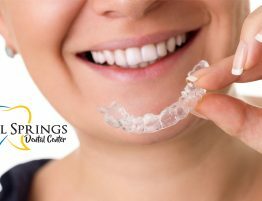 Coral Springs Dental Center is a full-service dental office with specialists who have the experience and skills to handle both children and adult patients. This makes it much easier to maintain a good dental health when having a dental center that can handle all of your family dental needs. 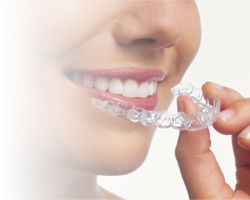 Contact us to set an appointment today or call us at 954-344-8800 if you have any questions. 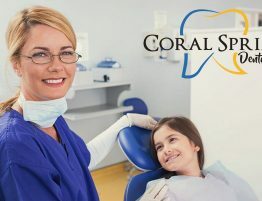 Our Coral Springs Florida pediatric dentists staff will be more than happy to answer any questions that you may have. Click here to read more related articles.